The FCC’s revolving door: once outrageous, now just mundane. Last week, FCC commissioner Meredith Atwell Baker announced that she was leaving the commission to become the chief lobbyist for the newly merged Comcast/NBCUniversal. 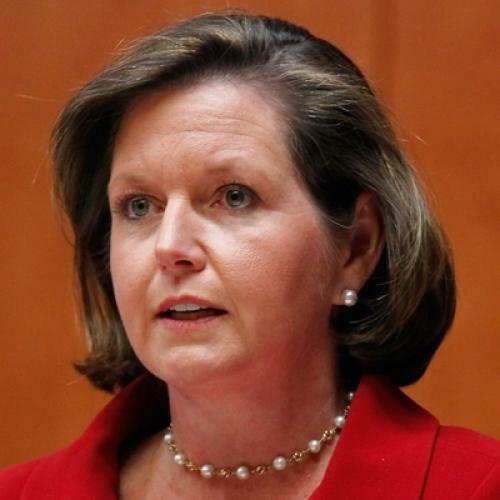 Only months before, Baker had voted to allow the historic and controversial merger between the cable company and the broadcast network, and though the 4-1 tally meant her vote had not provided the crucial margin, she was also on record complaining on multiple occasions that the FCC took too long to approve the deal. Baker’s announcement, however, was greeted with nary a shrug from the FCC and the congressmen tasked with its oversight. Her departure merited only a cursory statement from commission chair Julius Genachowski. Worse, when the FCC commissioners appeared before the House Communications and Technology subcommittee last Friday to discuss “FCC Process Reform,” subcommittee chair Greg Walden merely noted Baker’s absence and not a single representative asked a question related to the propriety of her recent move. One might be forgiven for asking: Why? To be sure, a commissioner or staffer leaving the FCC for industry doesn’t always produce a bad outcome for consumers: In 1971, Brodsky notes, MCI hired former FCC commissioner Kenneth Cox, who had voted for the fledgling communications company while he was on the commission, to lobby the body on which he once served. Thanks in part to Cox’s knowledge of the federal bureaucracy, MCI was able to provide critical evidence in the Justice Department’s successful anti-trust lawsuit against AT&T, which broke up the Bell monopoly. But none of this changes how despicably lax the regulation of the FCC’s revolving door has become. Under current rules, Baker can’t lobby the FCC directly for two years, but nothing prevents her (and other former FCC commissioners) from lobbying congressmen and staffers on the relevant committees. And instead of being required to work somewhere other than the corporations the commissioners just regulated for a mandatory “cooling off” period, former FCC commissioners are currently free to cash in on their experience immediately. If nothing else, more transparency is needed. The FCC no longer requires that commissioners and staffers seeking employment with industry submit a recusal letter, a requirement that could very easily be reinstated. “At the very least, we could put some shame into the idea of the revolving door,” says Aaron. Until then, expect this cynical game to continue apace.